Triclosan, an antibacterial chemical widely used in hand soaps and other personal-care products, hinders muscle contractions at a cellular level, slows swimming in fish and reduces muscular strength in mice, according to researchers at the University of California, Davis, and the University of Colorado. The findings appear online in the Proceedings of the National Academy of Sciences of the United States of America. Triclosan is commonly found in antibacterial personal-care products such as hand soaps as well as deodorants, mouthwashes, toothpaste, bedding, clothes, carpets, toys and trash bags. The U.S. Environmental Protection Agency in 1998 estimated that more than 1 million pounds of triclosan are produced annually in the United States, and that the chemical is detectable in waterways and aquatic organisms ranging from algae to fish to dolphins, as well as in human urine, blood and breast milk. The investigators performed several experiments to evaluate the effects of triclosan on muscle activity, using doses similar to those that people and animals may be exposed to during everyday life. In “test tube” experiments, triclosan impaired the ability of isolated heart muscle cells and skeletal muscle fibers to contract. Specifically, the team evaluated the effects of triclosan on molecular channels in muscle cells that control the flow of calcium ions, creating muscle contractions. Normally, electrical stimulation (“excitation”) of isolated muscle fibers under experimental conditions evokes a muscle contraction, a phenomenon known as “excitation-contraction coupling,” the fundamental basis of any muscle movement, including heartbeats. But in the presence of triclosan, the normal communication between two proteins that function as calcium channels was impaired, causing skeletal and cardiac muscle failure. 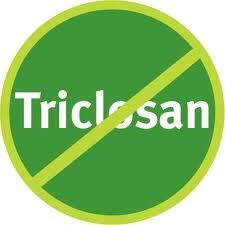 The team also found that triclosan impairs heart and skeletal muscle contractility in living animals. Anesthetized mice had up to a 25-percent reduction in heart function measures within 20 minutes of exposure to the chemical. In addition, the mice had an 18-percent reduction in grip strength for up to 60 minutes after being given a single dose of triclosan. Grip strength is a widely used measure of mouse limb strength, employed to investigate the effects of drugs and neuromuscular disorders. Finally, the investigators looked at the effects of triclosan exposure on fathead minnows, a small fish commonly used as a model organism for studying the potential impacts of aquatic pollutants. Those exposed to triclosan in the water for seven days had significantly reduced swimming activity compared to controls during both normal swimming and swim tests designed to imitate fish being threatened by a predator. The UC Davis research team has previously linked triclosan to other potentially harmful health effects, including disruption of reproductive hormone activity and of cell signaling in the brain. Chiamvimonvat cautioned that translating results from animal models to humans is a large step and would require further study. However, the fact that the effects were so striking in several animal models under different experimental conditions provides strong evidence that triclosan could have effects on animal and human health at current levels of exposure. Pessah questioned arguments that triclosan — introduced more than 40 years ago — is safe partly because it binds to blood proteins, making it not biologically available. Although triclosan may bind to proteins in the blood, that may not necessarily make the chemical inactive, he said, and actually may facilitate its transport to critical organs. In addition, some of the current experiments were carried out in the presence of blood proteins, and disrupted muscle activity still occurred. Although triclosan was first developed to prevent bacterial infections in hospitals, its use has become widespread in antibacterial products used in the home. However, according to the U.S. Food and Drug Administration, other than its use in some toothpastes to prevent gingivitis, there is no evidence that triclosan provides other health benefits or that antibacterial soaps and body washes are more effective than regular soap and water. Experts also express concern about the possibility of resistant bacterial strains developing with the overuse of antibacterial products. Because the chemical structure of triclosan resembles other toxic chemicals that persist in the environment, the FDA and the U.S. Environmental Protection Agency are conducting new risk assessments of the chemical. Based on their study outcomes, the researchers argue that the potential health risks call for greater restrictions. A copy of the study, titled “Triclosan impairs excitation-contraction coupling and Ca2+ dynamics in striated muscle,” can be requested by e-mailing PNASNews@nas.edu. Other authors of the study were Gennady Cherednichenko, Rui Zhang, Erika Fritsch, Wei Feng and Genaro Barrientos of the UC Davis School of Veterinary Medicine; Roger Bannister and Kurt Beam of the University of Colorado Denver-Anschutz Medical Campus; Valeriy Timofeyev and Ning Li of the UC Davis Division of Cardiovascular Medicine; and Nils Schebb of the UC Davis Department of Entomology. You need to be a member of Project Nsearch to add comments!